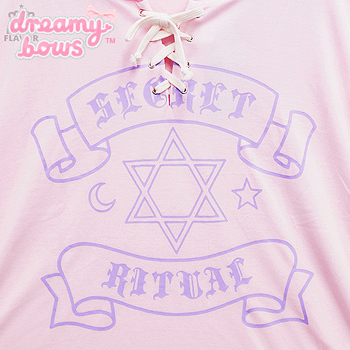 This cool pastel cutsew top from Listen Flavor features stars and moon with the slogan "Secret Ritual" written in Gothic style font above and underneath it with scroll designs. 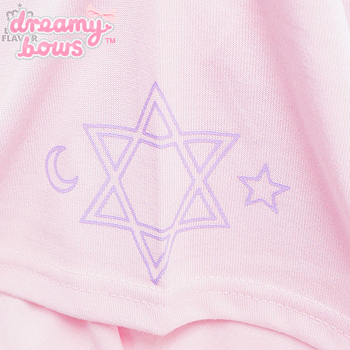 There is also the same scroll image and stars and moon on the sleeves and the front features a lace up design. 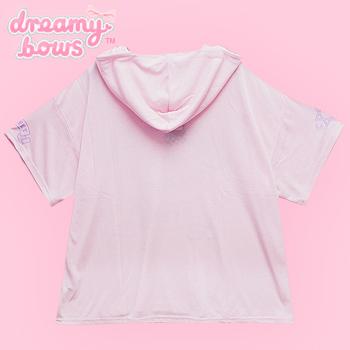 The fabric is slightly thinner and comfortable with some stretch, the top is super baggy and great for all sizes!